Life in Mumbai presents an expatriate a wondrous array of adventures and opportunities. The lure of India's most cosmopolitan city comes in a flurry of colour, tantalizing sounds, and a culture that's a combination of sugar and spice. 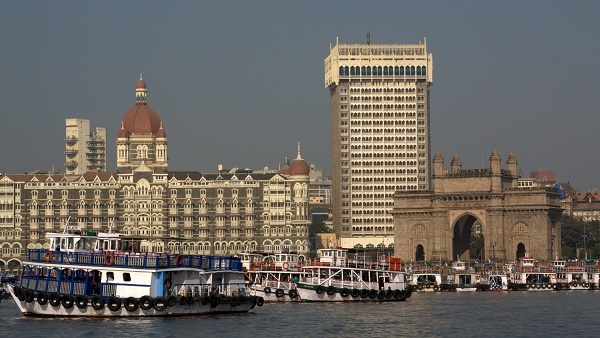 Mumbai is India's pulsating centre of business and culture. Strategically located at the mouth of the Ulhas River on the western coast of India, the city has one of India's busiest trade ports. The city is on Salsette Island, a part of the Maharashtra state. Mumbai covers a land area of 468 kilometres or 169 square miles. The Arabian Sea also flanks the western side of Mumbai, while the city proper is dotted with lakes and rivers like the Tulsi and Vihar lakes. These also serve as sources of water supply along with four other lakes that traverse the city. Mumbai has a tropical climate typical of other coastal cities in India. The two main seasons are wet and dry, and the daily weather is generally humid. The months of March until May (or early June) mark the hot summer season in the city. From June until September, monsoon rains lash Mumbai and occasional flooding occurs. These months are difficult for the city dwellers as daily life can be disrupted due to flooded roads. The weather becomes more pleasant from October until February, wherein there are moderate levels of humidity and the weather ranges from warm to cool. The average annual temperature in the city is about 31.2 °C (88.2 °F). Mumbai is a city literally overflowing with culture and people. It is the most populous city in India and the second most populous city in the world. The city proper itself has a population of about 14 million people. The Mumbai Metropolitan area has about 21,347,412 inhabitants with a population density of about 22,000 people per square kilometre. 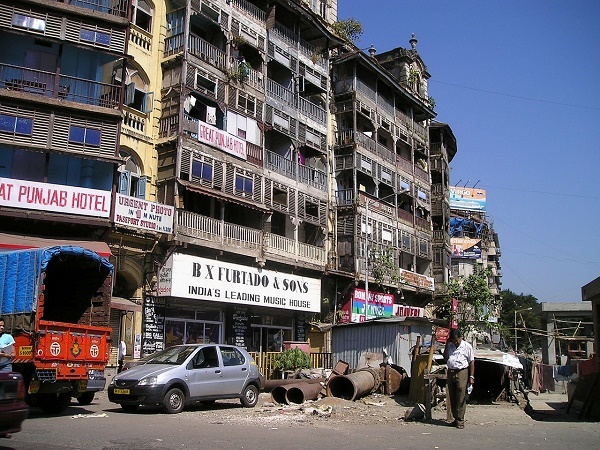 From neighbouring towns in India to expatriates from all over the world, Mumbai is considered home by different races. The millions that reside in this city are a definite multicultural mix, owing to the growing pool of migrants that work and reside in the city. India's largest city also happens to generate 5% of the country's GDP, making it a financial capital and a hub of employment, thus the increasing number of expatriates. To be more specific, Mumbai contributes 10% of factory employment, 25% of industrial output, 33% of income tax collections, 60% of customs duty collections, 20% of central excise tax collections, 40% of India's foreign trade and Rs. 40 billion (US$ 880 million) in corporate taxes. Now ranked as an Alpha World City, Mumbai plays a significant role in the global economic system. Originally, Mumbai was a mere centre of textile mills production and seaport trade, but the city has since diversified its economic offerings to include health care, information technology, engineering, and even diamond-polishing. Many foreign banks and financial institutions have also set up offices in Mumbai. Considering Mumbai's humid tropical climate, expats are advised to pack clothes made of light fabric. Cotton shirts and pants are best for daily wear. If you are to work in a corporate setting, just make sure to bring a light jacket or blazer. Make sure to have a sturdy handy umbrella, as you would find this very useful in both the wet and dry seasons. Sunscreen, moisturizers, and sunglasses are also must-haves. Also, have a handy stock of your regular medications and bring your prescription for any special kind of medicines. Having a heady dose of Pepto-Bismol and bottled water in your handy pack is also advisable for those who have sensitive tummies but would like to try the local food fare. Mosquito repellants are also advised, especially for those who are moving to Mumbai with kids. The beauty of the expatriate life in Mumbai lies in the intricacy of the culture, the challenges of survival, and the joys of experiencing the city's ups and downs. Though considered to be an ancient city, Mumbai never lost its charm and power that continues to capture the attention of thousands of expats from all over the world. You will find yourself mesmerised by its bright lights, towering buildings and commercially successful metropolitan which serves as India’s most significant business district. Mumbai continues to move unstoppably towards success by having international companies and businesses which highly contributes to its dynamic economy. But despite its modernisation, this city is still overflowing with natural beauty and historical richness that keep its people firmly attached to its vibrant culture. It is widely believed that expats can look forward to a life of prosperity while living among Mumbai’s humble and welcoming locals. So if you have decided to move here, read the following guidelines that will surely help you in your relocation. Some expats moving abroad have housing perks from their employers. But if you do not have this type of benefit from the company, it's best that you start preparing as early as possible since it is quite hard to look for a house/apartment in Mumbai. You can start looking on websites that post real estate advertisements in the city or read local newspapers that have rental listings. The most productive method is to hire a local real estate agent in the city. A realtor can provide you with more options since they have connections in the housing market which will make your search a lot faster. If your landlord did not include the cost of your utilities in the rental payments, you could expect a monthly bill of around €40 for your essential services like water, electricity, gas and garbage collection. An unlimited internet connection in Mumbai is roughly €20 per month while local mobile prepaid calls are billed at €0.05 per minute. You can find different types of housing in Mumbai; from a simple house to an apartment complete with amenities and a clubhouse, or an expensive villa. Most homes are unfurnished, but you can always request for your landlord to furnish it by adding an extra amount to the total rental cost. Landlords are also flexible when it comes to letting you choose between a short term and long term lease agreement due to their long experience in negotiating with migrants and tourists. You will find a huge number of expats residing in the city centre where the price of a one bedroom apartment starts at €450 per month and €1250 for a three bedroom unit. There are also accommodations outside the metropolitan where a one bedroom flat usually costs €250 monthly, and a three bedroom unit is roughly €570 per month. Most foreigners in Mumbai choose to enrol their children in international schools where they can continue the curriculum from their home country. The Dhirubhai Ambani International School is one of these institutions which follows the International Baccalaureate Program (IB) in their teachings. Tuition fees in international schools are very expensive, so you should negotiate with your employer regarding the educational allowance for your children as part of your employment package. A majority of public and local schools are connected to the Maharashtra State Board of Education where they are using English as the primary language in teaching. Memorisation is a method that is actively and widely used among these institutions. 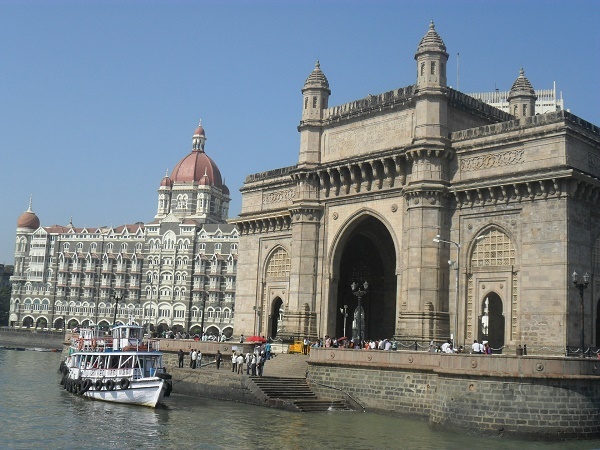 One of the leading local schools in the city is the University of Mumbai which was established in 1857. Importing your belongings abroad requires a lot of time and attention especially when it comes to tracking the delivery. If you want to reduce the hassle, you can contact international shipping and removal companies that provide door to door service to Mumbai. This way, you will only deal with a single company throughout the moving process, and they will be the one to organise the shipment until you receive your packages to your new address. It takes about 32-41 days for the containers to arrive in the Port of Mumbai, which will still vary depending on your originating country. Follow this link to learn about the city’s import regulations. All animals bound to Mumbai should be identifiable by a microchip. You need to secure your pet’s Rabies Vaccination Certificate and Vaccination Record from a licensed veterinarian in your home country. You also have to provide the animal’s Import License (from the Directorate General of Foreign Trade) and the Import Sanitary Permit (from the Department of Animal Husbandry and Dairying). This city is full of beautiful contrasts of futuristic vibe and amazingly preserved memoirs of its colourful past. Mumbai is the place where the billionaires and ordinary but striving people live together in harmony; all within the city’s incredibly wonderful community. Nestled in the arms of the Arabian Sea is the vibrant and captivating city of Mumbai, the capital of Maharashtra. Its name is derived from the word ‘Mumba’, the local Hindu Goddess Mumbadevi and ‘Aai’ which means ‘mother’ in the Marathi language. Also called the ‘Land of Dreams’, Mumbai is a city that is oozing with rich cultural beauty and with people that are blessed with large, welcoming hearts. The city of Mumbai or once was known as Bombay is the fourth most populous city in the world with a total population of 20.7 million. In the past 20 years, Mumbai has experienced a remarkable growth mainly because of the influx of migrants and foreign investors that have seen its potential. This capital Maharashtra is divided into two distinct parts: the Mumbai city district situated at the tip of the island and the Mumbai suburban district to the North. Expats that are about to live here will soon see the undeniable difference between the two areas whereas the city district is boasts towering skyscrapers and posh hotels while the suburban district features mangrove forests, lakes and slums where 60% of the Mumbaikars live. Mumbai is known for the many spots for kids to enjoy and have fun with. Expat parents who would like their kids to take a nature walk may visit the Sanjay Gandhi National Park to see some beautiful insects and animals and finally, take a picnic at the Tulsi River. Another one is the Dolphin Irla Aquarium and the Mahim Nature Park. Those who have children that dig educational activities can also visit the Nehru Science Centre, an exhibition filled exciting and interactive ways of highlighting everything about Science. Though there are tonnes of malls and designer shops, the reigning champion when it comes to great finds is Mumbai's local markets. The infamous Indian saying ‘Sab Kuch Milega’ (you'll get everything) perfectly describes the markets in this city. One of the most visited in Mumbai is the Colaba Causeway which seems like a never-ending strip stalls that sell various items such as clothes, handicrafts, books, incense, jewellery and brass items. Expats who want to experience the local culture can head to the Crawford Market, an old-style market where they will hear the distant echo of the azan or the Muslim call to prayer while shopping for the best and freshest produce in the city. Mumbai is a very populous city which makes it quite difficult to navigate around the city without being stressed out with its chaotic and erratic roads. Expats are legally allowed to use their international driver’s license around the city but are still advised to think very well and be familiar with the town before doing so. As a suggestion, foreigners may instead hire a local driver to save themselves from the stress of city driving. Another option is the public transportation which includes taxis, rickshaws, buses and trains. Banking in India goes through a bureaucratic process, but expats living in Mumbai would find it very accessible once done with the whole application process. For foreigners who will be employed in the city, most of the companies open the account for their foreign employees through an international bank. There are also banks which accommodate to the needs of non-residents by offering the NRO savings or current account. International banks in Mumbai include Barclays, Royal Bank of Scotland HSBC, Citibank, Deutsche Bank and Standard Chartered. Mumbai is radiating with lively vibe that is symbolised in the presence of Bollywood, the globally famous and influential heart of Hindi film and TV industry. The locals, also known as the Mumbaikars are hospitable, quite liberal and are remarkably tolerant towards other cultures which explain why this city has always had a highly diverse population. Mumbai is also the busiest cosmopolitan in India that’s why it also gained the same reputation of New York as the ‘City that Never Sleeps’ whereas the inhabitants are used to a fast-paced life. Language barrier can be easily overcome in Mumbai since the majority of the settlers speak in English. The biggest hurdle most expats might have would just be the bureaucratic process which tests the patience of most people. To help them overcome any stress, joining expat clubs which are found all over the city is recommendable.